Asia Pacific In-vitro Diagnostics Market size was valued at USD 12.3 billion in 2017 and is expected to witness 6.0% CAGR from 2018 to 2024. Increasing prevalence of chronic infections in Asia Pacific countries with poor hygienic conditions will augment demand for diagnostic procedures in forthcoming years. In 2017, around 16% of the total Indian population was detected with HIV virus that will influence in-vitro diagnostics industry demand positively. Moreover, rising awareness regarding availability of diagnostic devices coupled with developments in healthcare facilities will upsurge the industry growth. However, cost of diagnostic procedures may restrain the in-vitro diagnostics industry growth. Excessive cost of procedures and devices will lower demand for diagnostic procedures affecting in-vitro diagnostics market growth over forecast timeframe. Instruments segment held USD 1.1 billion in 2017. Segmental growth will be attributed to extended use of diagnostic instruments in studying rare genetic diseases. Moreover, utilization of instruments for developing novel therapies for rare diseases will augment in-vitro diagnostics industry growth in upcoming years. Services segment is expected to grow at 6.1% in near future. Availability of skilled labour/technicians for operating laboratory instruments and equipment will improve quality of services being provided at hospitals and laboratories thereby will positively impact the APAC in-vitro diagnostics market growth. Microbiology segment accounted for 6.0% revenue share in 2017 and is expected to grow enormously in forthcoming years due to its increasing applications in field of disease diagnosis. Moreover, around 8.6 billion people in India have fungal candida infections that will ensure high segmental growth in the upcoming years. Drug testing/ pharmacogenomics segment will grow at 6.4% over the forecast timeframe owing to rapid development in genotyping technologies. Moreover, regulatory implications enabling quality improvements in drug discovery process that involves use of in-vitro diagnostic devices will thereby boost the in-vitro diagnostics market growth. Academic institutes segment was valued at USD 710.0 million in 2017 and should witness high growth owing to rising number of research and development activities. 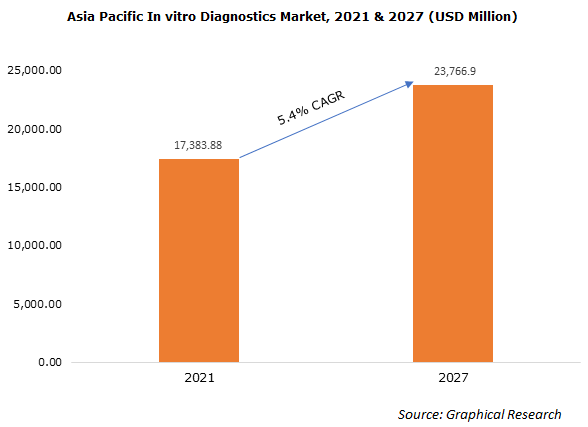 Moreover, use of in-vitro molecular diagnostics in process of introducing novel therapies for chronic conditions such as cancer will impact positively on APAC in-vitro diagnostics market growth. Also, high preference of molecular diagnostics in analysing drug safety and sensitivity will escalate the segmental growth in future. 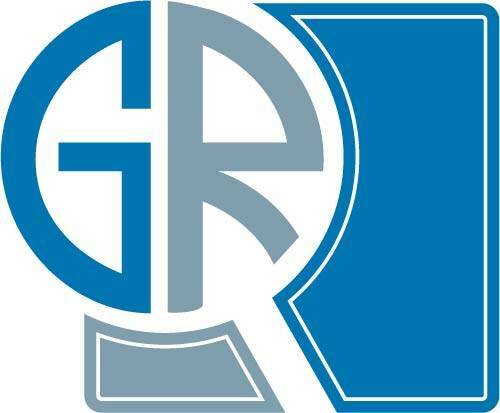 China in-vitro diagnostics market accounted for 26.0% revenue share in 2017 and high growth of this market will be attributed to growing geriatric population susceptible to chronic diseases. Furthermore, availability of large number of laboratories will impact positively on the business growth. Key industry competitors operating in Asia Pacific In-vitro Diagnostics market are Abbott, Becton Dickinson, BioRad, BioMerieux, Cephied, Danaher, Grifols, Johnson & Johnson, Luminex, Roche Diagnostics, Siemens, Sorin, Thermo Fisher and Qiagen. These industry players adopt certain initiatives that help them in sustaining their market position. For instance, in March 2018, Qiagen launched new molecular diagnostic test CE-IVD assay for qualitative detection of Trichomonas vaginalis with an aim to diversify its product portfolio. Asia Pacific in-vitro diagnostics industry is consolidated in nature and is dominated by few established industry players. Moreover, in-vitro diagnostics industry in Asia Pacific region is still in late introductory phase and has scope of immense development by adoption and integration of advanced technology within diagnostic devices and instruments. Also, the Asia Pacific industry growth will have positive impact in upcoming years owing to high preference of in-vitro diagnostics.